4....K..... At 30 FPS. 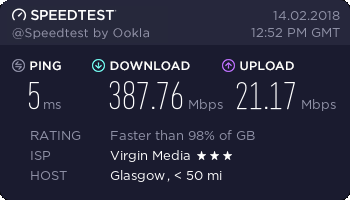 I know there's a lot less going on here than in Battlefield and it will be very optimised but still, when over £1K worth of "specialised hardware" is struggling to get 1080 at decent frame rates and then a relatively old, essentially mid range card can do this, it's pretty funny. I'm having a good giggle. It's beginning to look like it! Navi based Next gen consoles will have this Neon Noir ray tracing too no doubt so it could quickly become standard. It probably took RTX to come out for companies (Crytek) to finally make efforts to get ray tracing implemented. Q: if this is in software on Vega, then when would it look like on Dedicated Hardwear like RTX? In theory, it should look the same (just calculating same formulas on different hardware). In theory also, it should be faster with nvidia (and her is the big one) IF the functions used to calculate are compatible with hardware that is in RT cores. If note, it will use just normal gpu cores (just like this Vega 56). And there, AMD have advantage. Just one line in that whole story makes me smile, "a hardware agnostic real-time raytracing demo". nVidia claimed it wasn't possible, spent billions of dollars designing/making new RTX cores and are now price gouging customers. If (And they're very big ifs) AMD haven't made similar new cores for Navi (And it's unlikely they did) and if they can run the above code well (Hardware agnostic implies it should) and if they can price it sensibly, AMD are looking at a winner. If the Earth is a sphere how do you travel to the ends of it? The words "knee" and "jerk" spring to mind. I'm not so convinced that it's a knee jerk reaction. I feel like it's more of a "waiting to see when anyone else announces a meaningful DRX demo on non-RTX kit and then releasing this news." NVIDIA, as far as I'm concerned, have had this in mind since the launch of RTX, and now their charts showing RTX-OPS between Pascal and Turing cards makes perfect sense. Well, yeah... it wasn't, back then. Just like "640k should be enough for anybody", no?